I’m not always one for new, hyphenated music sub-genres – but in the case of Mountains Among Us, doom-gaze is a perfect fit. Their newly released album Commission the Twelve from Argonauta Records is what happens when you blend dark, reverb ladden doom music with melodic, ethereal shoe-gaze. The band also gets the post rock label because the songs are theatrical and without vocals. The one sheet came with a list of similar bands, but I think there is one missing from that list: Pelican. Now, if you are a fan of anything resembling this style of music, Pelican is likely near and dear to your heart. And if Pelican is near and dear to your heart, you’ll likely embrace Mountains Among Us and should start using doom-gaze to keyword search new music. 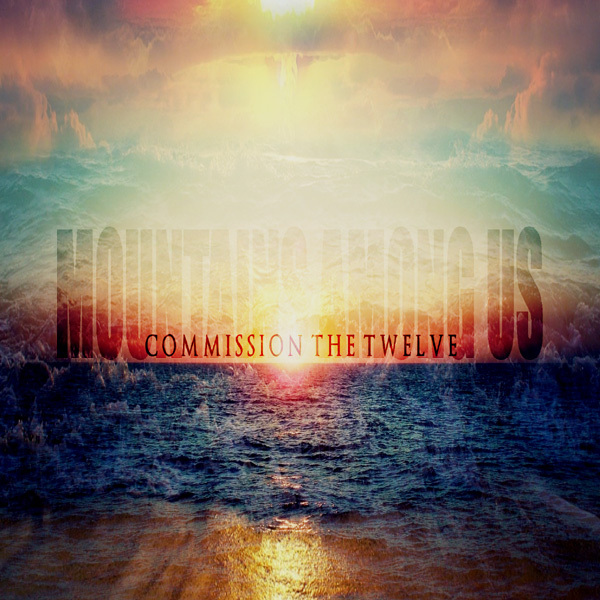 New album by the North Carolina based Avant/Doom-gaze band MOUNTAINS AMONG US. Formed in 2007 by Brandon Helms (of FROM OCEANS TO AUTUMN fame) the band released their first full length “True North” in 2008 followed by the second album “Believer” in 2010 . After working on some experimental recordings/ep’s from 2011-2012, they began writing on their first full length in over four years, described by the band as their heaviest, most ambitious work to date. Their blackened avant-garde style is constantly morphing into new territory while experimenting in different sounds, which will appeal to fans of EARTH, THIS WILL DESTROY YOU, NADJA.  Out on noble digisleeve CD limited edition 300 copies, glossy lacquer.  Over 50 minutes of impressive Post Rock / Avant Doom-gaze with blackened atmospheres.  Recommended to fans of NADJA, EARTH and THIS WILL DESTROY YOU. This entry was posted on July 21, 2014 by 850music in Posts and tagged press release.